Panasonic AX802 TVs updated for Netflix 4K | What Hi-Fi? Owners of the Panasonic AX802 series of TVs can now reap the Ultra High Definition benefits of Netflix 4K - thanks to a firmware update. The free firmware update is available right away and users will receive it when they connect their TV to the internet. 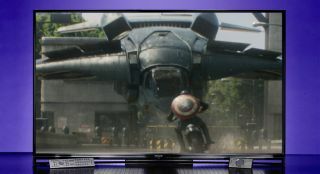 The update will allow users to stream programmes such as House of Cards and Breaking Bad in 4K with a compatible broadband connection. A new Netflix original series, Marco Polo, will also be available to stream in 4K from next month (December). It's worth noting that if you are eyeing up the AX902 series of Panasonic TVs, then you will be pleased to know the TVs are capable of streaming Netflix 4K content out of the box.